"I entitled the series "beautifuL sLum" with emphasis on the "L" in both words because a recurring thought that I have while making these paintings is "Love of Life". It is important to me that I present something completely original and different than anything else that has been seen. That being said, these paintings are driven by my imagination and can never be duplicated. " "The beauty of Humanity can be more evident when studying our resourcefulness and ingenuity under various circumstances. 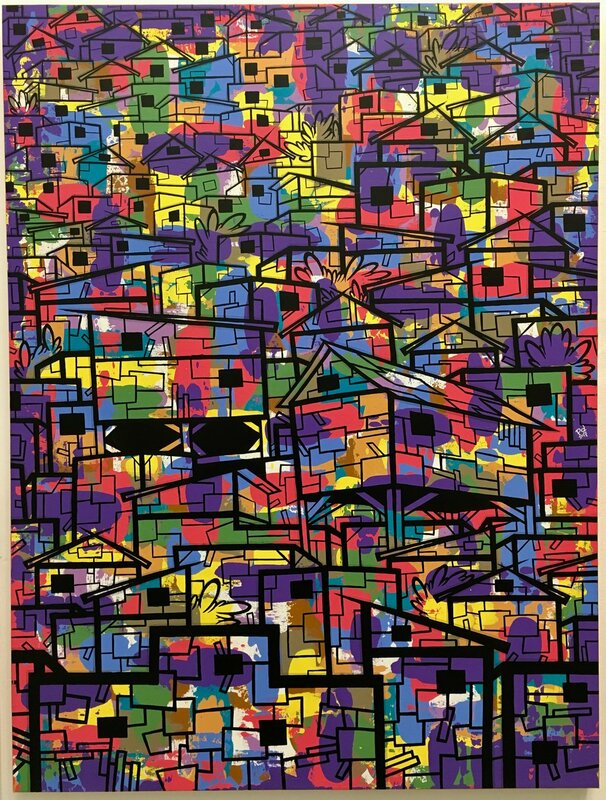 I love the aesthetic of Central and South American living settlements, often referred to as "favelas" in Brazil. With these paintings I want to attack that subject matter with a sense of structure, adaptivity, and Love of Life, rather than negative imagery such as crime, and poverty. This is a technique and a process that I created featuring acrylic and ink on canvas. These paintings give me the impression of Home. No matter what you look like, or where you might be from. - beautifuL sLum"